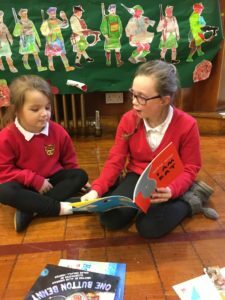 As part of Book Week Scotland all primary 1’s received a Bookbag. 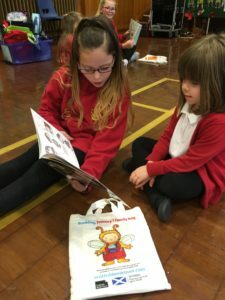 The P1 Bag contains the 3 shortlisted books for the Bookbug Picture Book Prize and other exciting resources for families. 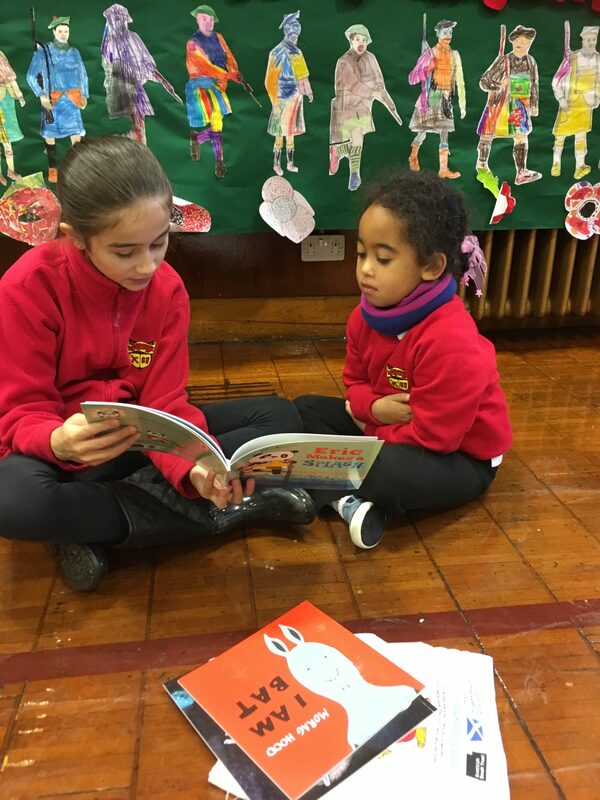 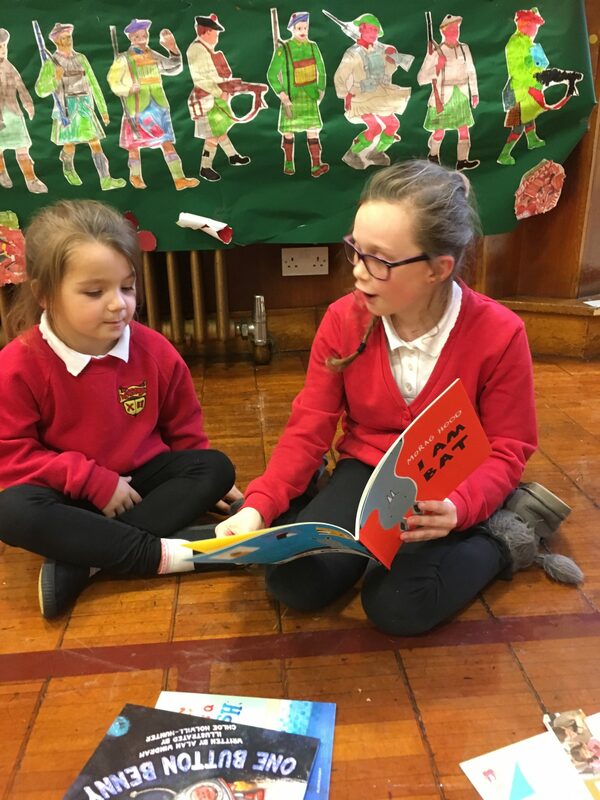 The Bookbug Primary 1 Bag is an excellent tool to promote stronger links between home and school learning – and a great way to engage children and their families with the joy of reading. 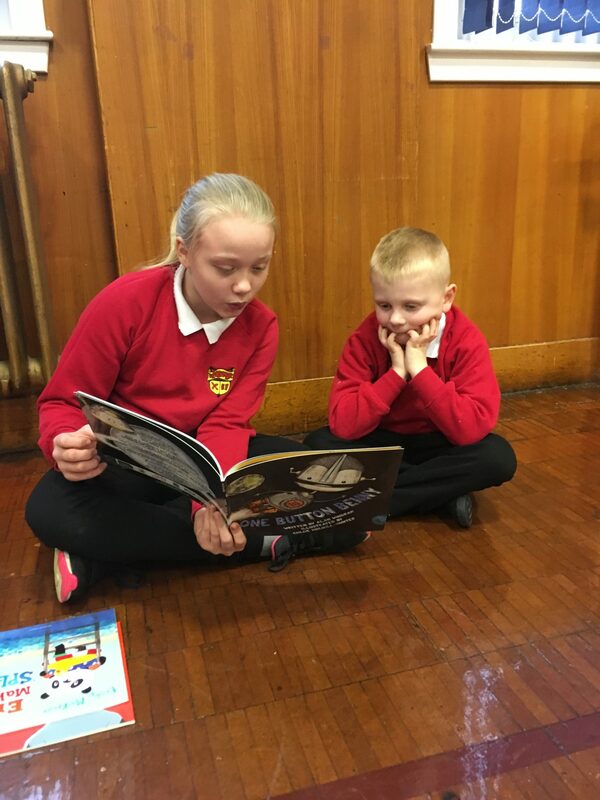 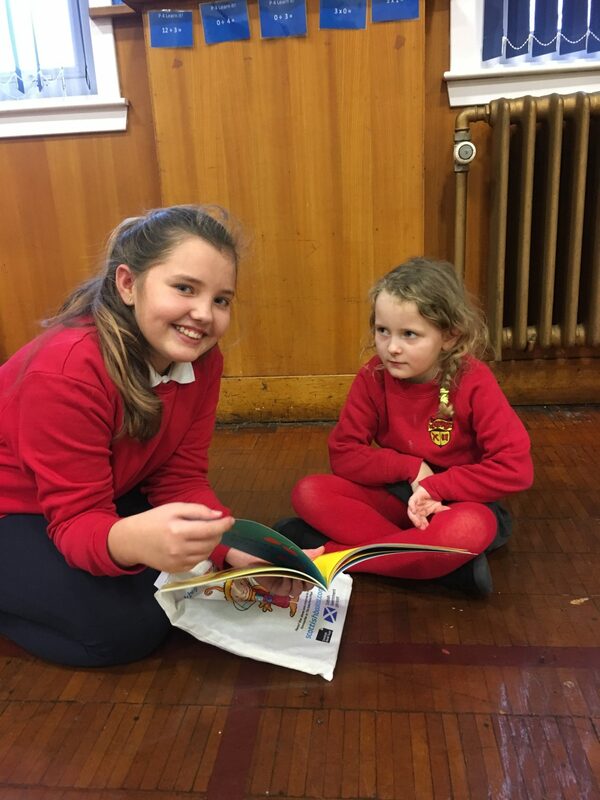 P6/7 were excited to give the bags out to primary 1 and took part in some paired reading.